1995. Photos. Framable Color Prints and Posters. Digital Sharp Images. Aviation Gifts. Slide Shows. 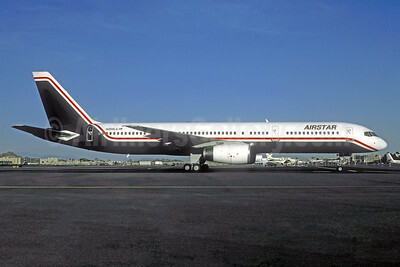 Airstar (Leisure Air) Boeing 757-23A N250LA (msn 24291) (Leisure Air colors) PHX (Christian Volpati Collection). Image: 941544.